This is the first of a two part blog to give you some background on our new winter beers. 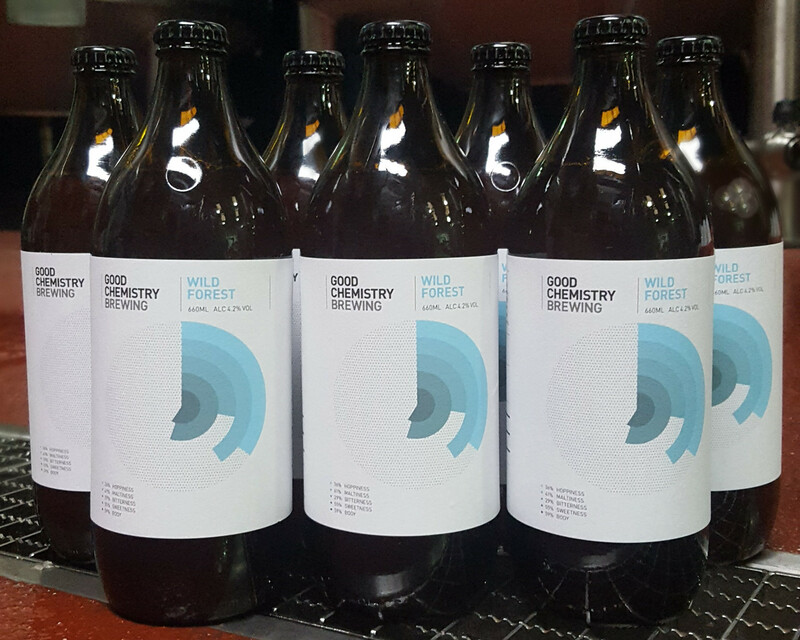 Alongside our first ever beer, Big Bang, and one of our summer cask favourites, Redstart Rye, we’ve brewed Wild Forest and Becoming North. These are joined for the festive season by our Christmas special, Advent Horizon, which you can find in cask and bottle across Bristol and Bath this month. The planning for this beer started back in the summer. Originally we aimed to continue our run of saisons through the winter. It’s a style we love and we don’t see why it should be confined mostly to summer. The saisons that we put out through the summer, Field Work and Business Casual, were both quite distinct from each other, so we wanted to make sure that this beer had its own clear identity too. We thought that adding spices to the brew could give us the wintery feel that we wanted for this beer, but we didn’t want to go down the route of “Christmas spices” like cinnamon and cloves. We did not want to make a mulled saison! Through talking with our friend Evan over at Kettlesmith Brewing we found out about The Spicery, a local business set up by James Ransome. 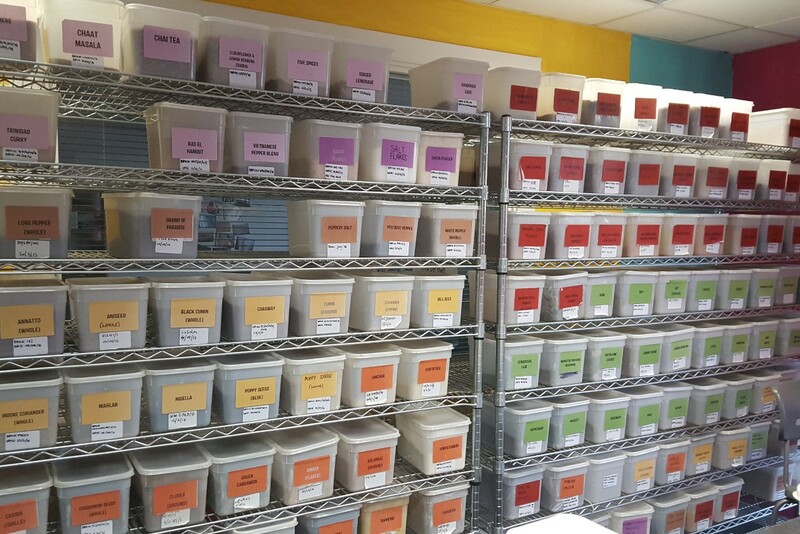 They specialise in sourcing an incredible range of spices from around the world, and putting those flavours together into recipe kits. If anyone could give us some direction, this was the guy! 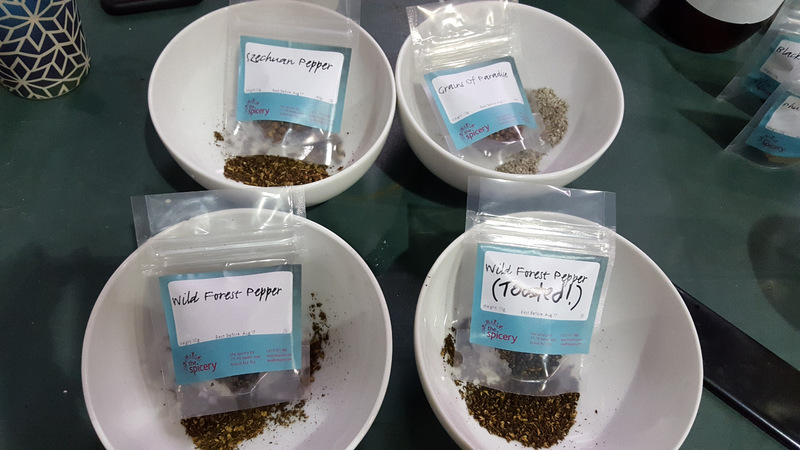 As we described the kind of beer we wanted to make, James talked us through a few of the different types of pepper that he thought might fit the bill. 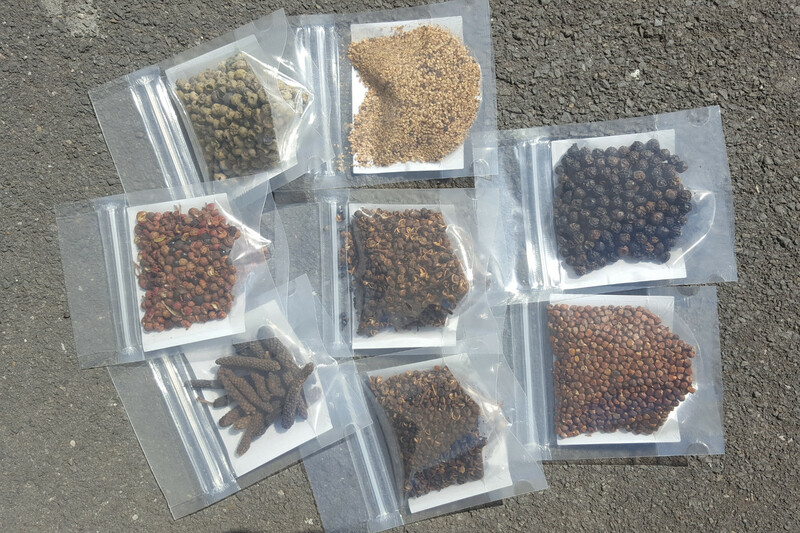 We ended up taking away samples of green pepper, wild forest pepper (toasted and untoasted), grains of paradise, pink pepper, long pepper and Szechuan pepper! Tastings of all of these suggested they had potential for the beer, but we needed to see how they came across in the actual beer. 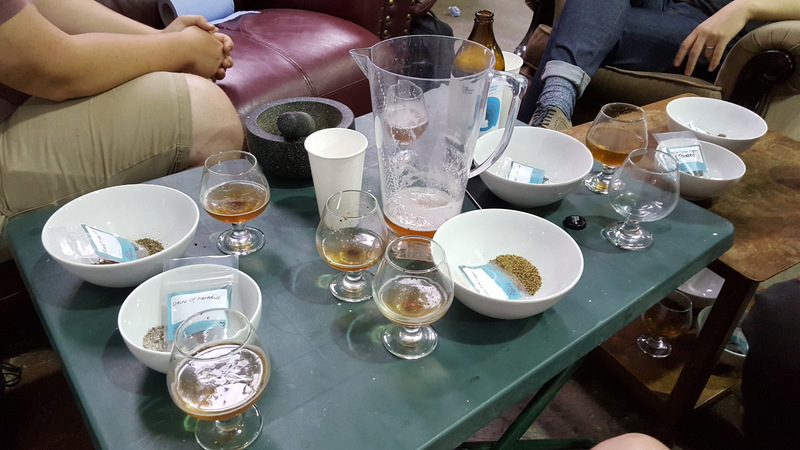 Later that week we got a couple of friends round, cracked open some bottles of Field Work, and got to taste testing the pepper. Just crushing the peppers and adding them to glasses of beer gives a pretty good impression of how the flavours and aromas work together. Before we started we had an idea of which we wanted to use, but tasting the peppers in the beer threw all that out the window. Spices that we thought would work well just didn’t complement the beer at all. Others that we thought were outside chances really stepped up. 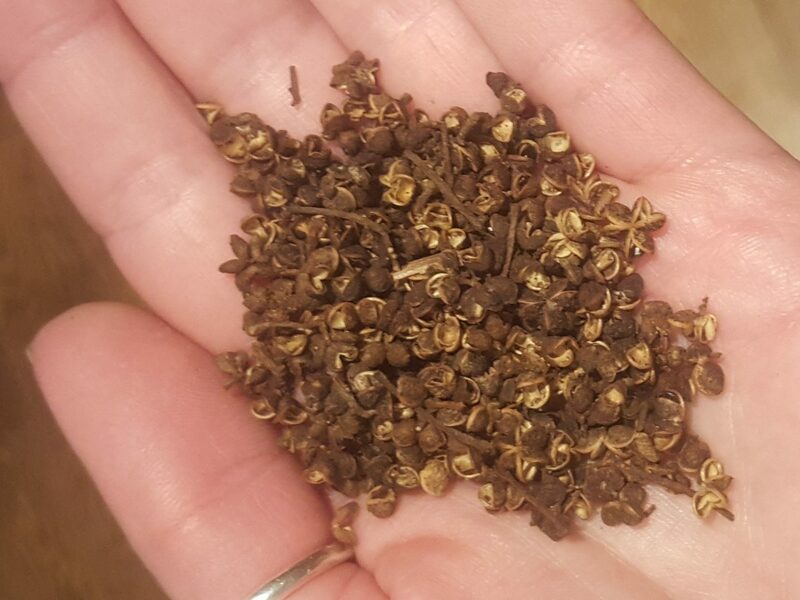 The two spices that we all agreed on as the best options were toasted wild forest pepper and long pepper. So, the next day we brewed a test batch of saison with these peppers as an early trial to work out how much pepper to add. We didn’t want the spice to overwhelm the beer, just to complement it. 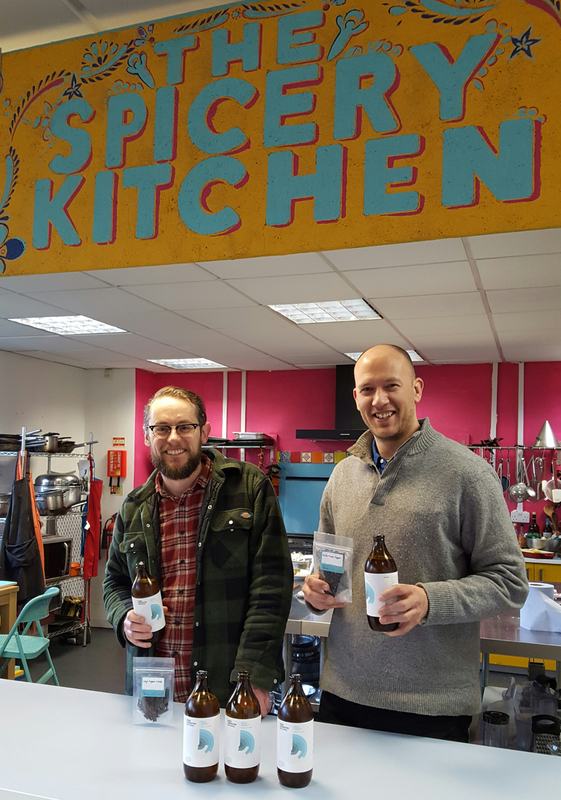 Once the beer had fermented we felt that the level of spice we used was about right, but we weren’t sure that it worked as a beer. The spice of the pepper was pushing the flavour in the same direction as the saison yeast, and it left the beer all “yang” and no “yin”! No balance and a strange emptiness in the middle of the beer. What the beer needed was a bit more body and sweetness to balance the dry spices. The thing with saison yeast, though, is that it ferments beers out really dry leaving very little sugar in the beer. So, instead of ditching the peppers we decided to try a wheat beer yeast instead. We rejigged the malt bill to bump up the wheat and oats, and brewed another test batch. Overall we’re really pleased with how the beer has come out, and we’ve received great feedback so far too. 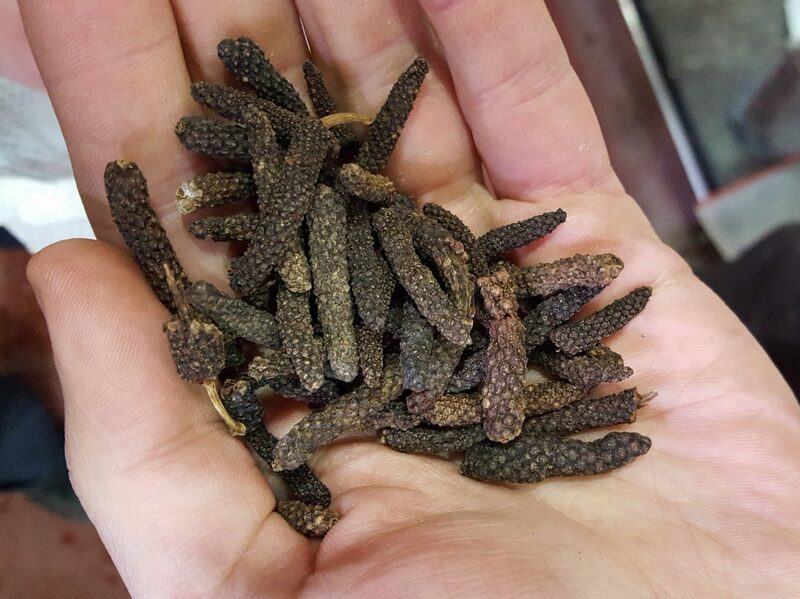 The flavours work well together and we think the pepper is pitched at the right level to be a clear element of the flavour, but without dominating the beer. The oats have done the job of beefing up the body and contributing to a sweeter impression for the beer, but they have also had the effect of undermining head retention. While it doesn’t affect the flavour, we want our beer to look pretty! So, next time we brew Wild Forest we’ll tweak the recipe a bit to improve head retention and get it looking how we want.